Professional triathlon and personal training coach in Auckland. A coach brings the best out of an athlete both physically and mentally. At Tri 2 Win, the passion for coaching lies in being able to motivate you as an individual to achieve your goals through understanding, commitment and self-belief. Whether you are a beginner athlete or an experienced competitor, Tri 2 Win training plans are designed to fit in with your life style, around your family, business, or just good old life in general. 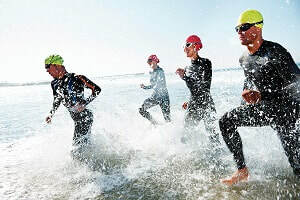 Triathlon is one of those sports where age, gender, or size has no bearing. There are no limits to what you can do. The achievement of any set goal is priceless. 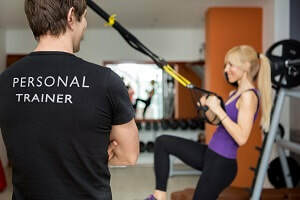 With over 20 years’ experience in coaching and dealing with all kinds of people, Tri 2 Win will work with you with bespoke training plans whilst providing professional advice and guidance at all times to help you achieve your personal goals. Having competed in numerous events from Short course through to Ironman distance, Tri 2 Win truly understand what it takes to achieve a Personal Best. We understand the importance of maintaining your body fitness. Hi, I am Barbara, originally from Austria and moved to New Zealand in August 1999. ​Before then I was working as a Sports Coordinator for Club Med around the world but needed a change from work and lifestyle. My first triathlon was in 2001, I was hooked from the start. Since then I have completed many short and long distance Triathlons, Marathons and Half Marathons. From 2000 – 2004, I managed a Health and Fitness Club. My passion got the better of me; I then decided to create my own Coaching business. Since October 2004, I have been operating Tri 2 Win Coaching successfully and over this time helped many Athletes and Personal Training Clients achieve their goals. I’m married to Greg Pye, a local Kiwi lad, who is also a keen triathlete and a certified Massage Therapist. ​With over 30 years’ experience in coaching and dealing with all kinds of people, Barb takes her role seriously in providing professional advice and guidance at all times. 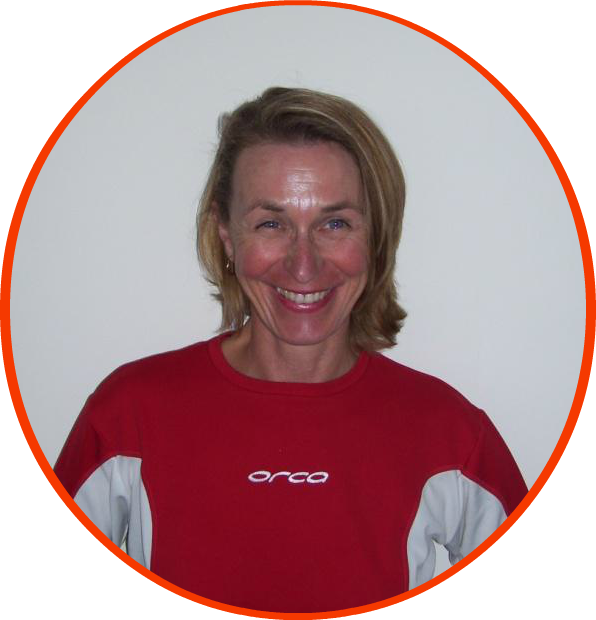 A passionate Triathlon Coach and Personal Trainer, Barb believes that Triathlon is one of those sports where age, gender, or size has no bearing. As a late starter in the sport, Barb had to work hard to get to where she is today and believes that there are no limits to what you can achieve if you put your mind to it. Barb has competed in numerous events from Short course through to Ironman distance and has the first-hand experience to truly understand what it takes to achieve a Personal Best. Coaching is all about helping athletes improve their ability to achieve their goals and ambitions. It should be done positively, smartly and with passion. In a coach/athlete relationship, communication is a vital aspect. It is very important to talk to the athlete individually to determine what their individual values and beliefs are, along with their goals and motivation. As a coach, we are a powerful role model and can have a tremendous influence on an athlete as long as we are on the same page. ​A key ingredient in coaching is to take the time and get to know the athlete to understand their individual skills and abilities along with their strengths and weaknesses. Building a strong bond between a coach and athlete leads to higher levels of commitment and athletic performance. At Tri 2 Win, it is foremost to provide the highest level of guidance, knowledge and support to the athlete in every training program designed to ensure the best results and achievement of the athlete’s goals.